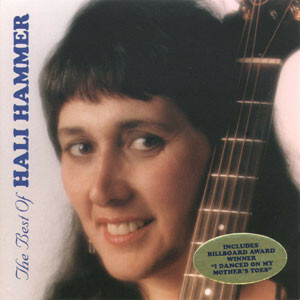 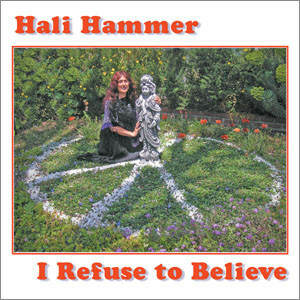 Well-versed in an assortment of moods and styles, Hali Hammer is an award winning singer-songwriter who enjoys writing and playing a wide variety of music. 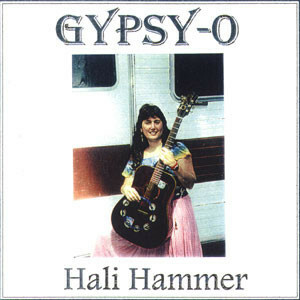 She has sung and played for peace and political causes for over four decades, is a founding member of Occupella, and plays originals with The Hali Hammer Band (Randy Berge and Paul Herzoff), bass with Jump-In (Folk and Oldies, don’t say it too fast!) 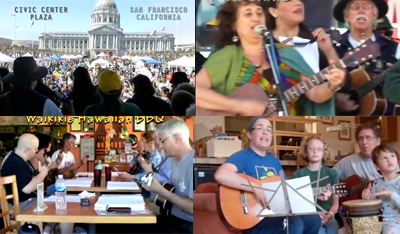 and political parodies with The ReSisters (Pat Wynne and Liliana Herrera). 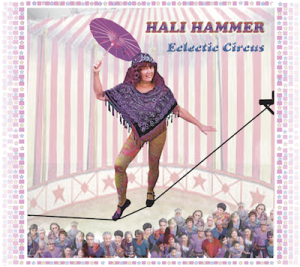 Her diverse work (and play) have made her comfortable performing with all age groups, from preschoolers to senior citizens.